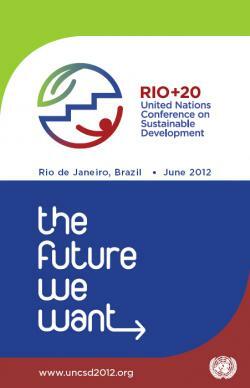 Thoughtshower: Rio+20, Will We Achieve Global Justice? Last week Sustainability Consult attended a conference on 'Achieving Global Justice in the Green Economy', done within the context of the upcoming Rio+20 conference. Stressing the importance of social equity and world justice as a global concern, the heated debate emphasised the polemical Green Economy concept, the existing economic chasm between Northern countries and most of the Southern hemisphere and the lack of political will to make necessary changes. This event, organized by ANPED, EEB, CIDSE, CEEweb and EESC, encouraged participants to present concrete proposals on fair ways of sharing natural resources. Some members of the audience expressed scepticism, especially since past proposals and treaties have yielded few practical results. However, even if some question the real outcomes of Rio+20, aren’t conferences such as these essential to raise awareness of global justice issues? And won't Rio+20 push world leaders to take clear positions on policies that will lead to a more sustainable future? The civil society engagement seems to be the key. Practical results can only be achieved if voters are aware and demand equity in international and local policies. This idea was very strongly supported by Pedro Narro, from EESC. And as Denise Auclair, from CIDSE, mentioned, "Poverty is a social problem, not an individual one". The conference results were summarised in a 'Call to Action Outcome Document', to be presented at the 3rd UN CSD preparatory Intersessional meeting in the United Nations Headquarters, New York.